The charitable lottery winner said it's important "that we never forget the sacrifices our soldiers and families make for our country." 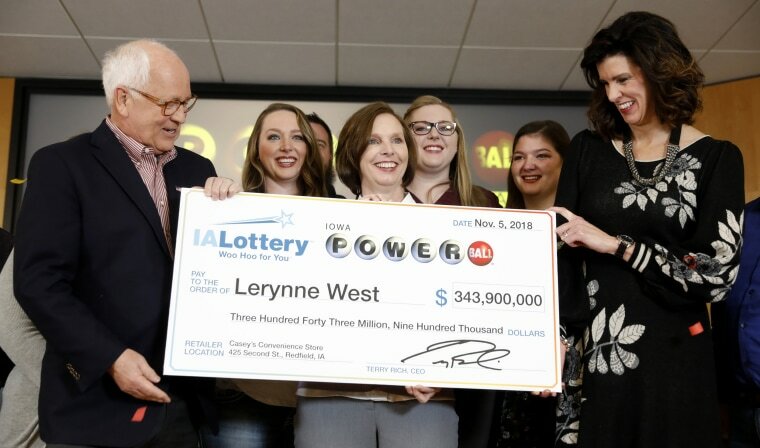 DES MOINES, Iowa — An Iowa woman who shared a nearly $700 million Powerball lottery jackpot has donated $500,000 to a veterans group. Before announcing her gift, West recounted buying the winning ticket at a convenience store in the small Iowa community of Redfield, then leaving it on the floor of her sister's pickup. After submitting her ticket to officials, she promised to use her winnings to help others.